Planmeca’s intraoral scanner has become the new favourite tool of many scientists in unraveling the mysteries of nature. Researchers have been particularly fond of the Planmeca PlanScan® scanner’s compact size, precision and speed, which make the scanner the ideal tool for the digitisation of samples. 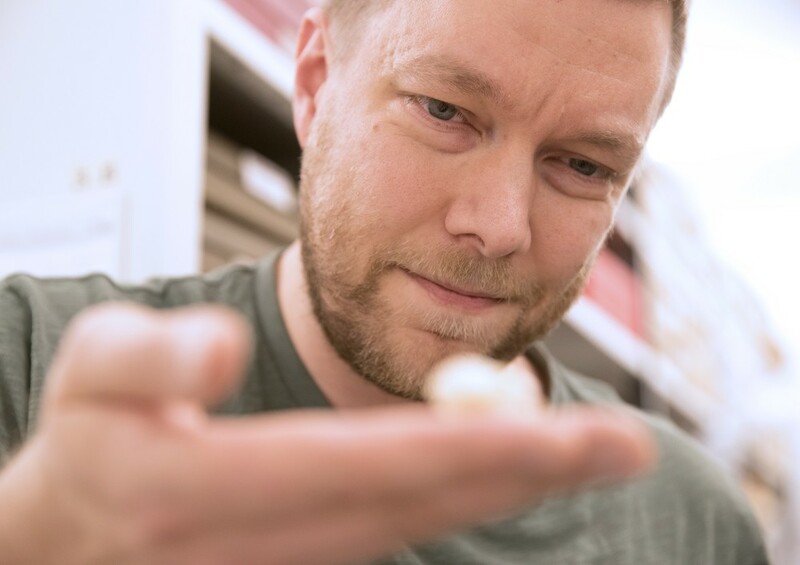 Researcher Henry Pihlström is holding a small bat skull in his hand, eagerly demonstrating its tiny canines. 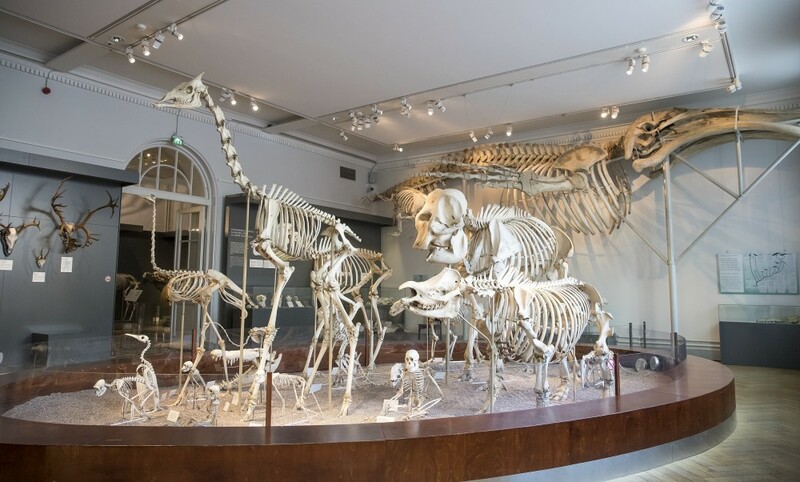 The Finnish Museum of Natural History is widely known for its enormous skeletons which serve as a source of inspiration for both the young and the old. This time we are being taken on a private tour of the museum and also getting a glimpse of the world behind the exhibition – the bone collections of the museum. We have come to the Museum of Natural History to interview Senior Museum Technician Janne Granroth about the collections and their purpose. Granroth takes us through a maze of corridors to a cool room underneath the museum premises. I wrap myself in my coat, but Granroth and researcher Pihlström seem unaffected as they dig among the treasures of the collection in their shirtsleeves while the cool air protects the collection. I look at the bones around me and find myself thinking how I never would’ve have guessed this is where I’d end up when I first came to work for Planmeca. 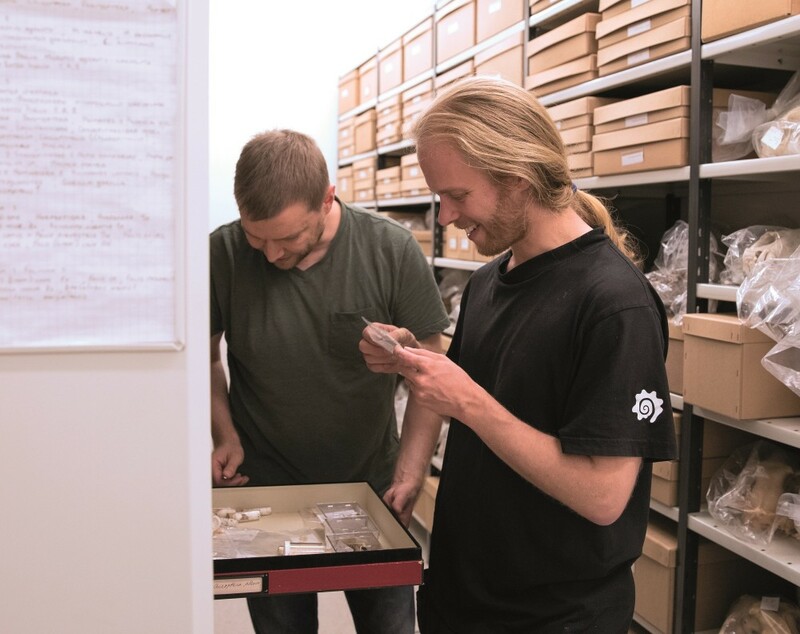 Researcher Henry Pihlström (on the left) and Senior Museum Technician Janne Granroth looking at the bone collections of the Finnish Museum of Natural History. But what brings us from Planmeca to the Natural History Museum on this autumn day? Let’s go back in time a little bit. In spring 2015, Planmeca received a call from the University of Helsinki. Renowned researcher of evolutionary developmental biology Jukka Jernvall was in need of a device suitable for his research. Jernvall is well known for his ground-breaking work on the evolution of teeth, and indeed, according to him, “teeth are a window on the past a million years ago”. At the time of contacting Planmeca, he and his team were researching the history of the Saimaa ringed seals and the development of their teeth. For this purpose, Jernvall needed a way to record his sets of teeth digitally, but the imaging tools that were available to him then were slow, with their accuracy also leaving something to be desired. As a result, Jernvall made the call to Planmeca to get his hands on a Planmeca PlanScan intraoral scanner. The scanner quickly proved itself both fast and accurate, while its compact size made it easy to carry along to any research site. With the help of Planmeca’s expertise, the Planmeca Romexis® software was also fine-tuned at the university to suit the ringed seal teeth – ringed seal teeth being rather different from human teeth, after all. The collaboration soon revealed even wider applications for the scanner, and so the word began to spread. Since then, the Planmeca scanner has been used in palaeontology – i.e. the scientific study of prehistoric life especially through fossils – to examine the teeth of pandas, ancient cave bears, polar bears, and even mice and swine. 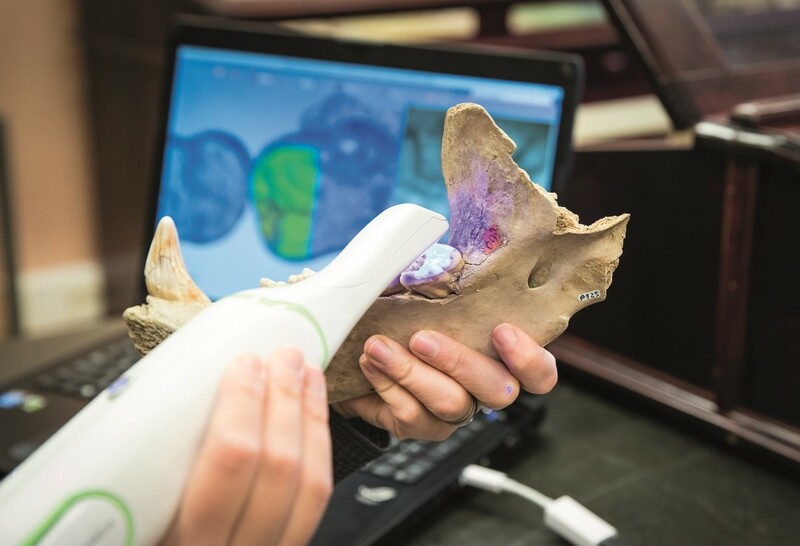 Today, many Finnish palaeontologists use Planmeca 3D imaging devices and software in their work, which is garnering international attention in the field as well. It is also precisely this fascinating branch in the world of Planmeca which has now brought us to the bone collections of the museum. A pile of enormous moose antlers are reaching for me from a nearby box. I half expect a moose to raise its head from the heap, but the bones stay firmly put. I take a look inside another room, where the skin of a red panda stares at me with its eyes, now reduced to mere black holes. Researcher Henry Pihström asks what we would like to photograph as he lifts up some ape skulls from the collection. Meanwhile, Senior Museum Technician Granroth has taken out the skull of a white whale, whose empty eye sockets now seem to be looking at me with anticipation. “The samples here are mainly intended for research, university teaching and general information purposes, but are especially relevant to scientific research. Researchers will come down here to do some investigation or scan samples with your devices,” Granroth describes. Researcher Henry Pihlström holding a bat skull. The bat skulls presented by Pihlström are an example of samples scanned with Planmeca PlanScan. The smallest bats have skulls so small and thin that most scanners cannot handle them, however here, too, the Planmeca scanner delivers. 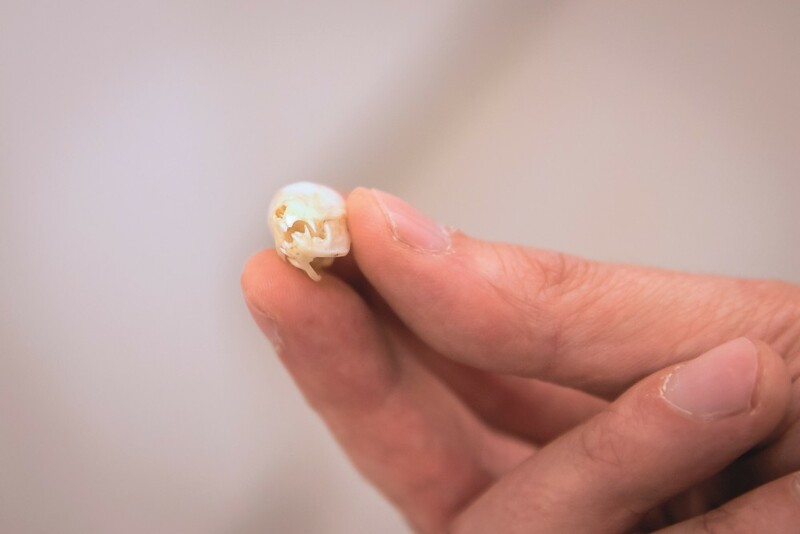 Indeed, the tiny skull of the vampire bat looks more like it belongs on the wall of a dollhouse than to the infamous bat of the legends and makes Pihlström’s hand look enormous by comparison. A couple of weeks have passed since our visit to the Museum of Natural History when we are once again surrounded by fossils. This time we are meeting with researcher Jacqueline Moustakas-Verho at the Kumpula Manor in Helsinki. Built in the 1800s, today the manor hosts the geologists of the Natural History Museum, while the manor is now a botanical garden. Moustakas-Verho says it was Jukka Jernvall who inspired her to move to Finland from the United States six years ago. Jernvall’s work on teeth made a particular impression on Moustakas-Verho and convinced her that she wanted to work with the acclaimed researcher. I think to myself how I never knew research into fossil teeth was a big deal in Finland – something which excites people all around the world to such an extent it can even persuade them to move up here to the North. “The University of Helsinki is one of the leading institutions in the world on fossil teeth research. People come here to investigate teeth from all over the world, like France and Japan,” Moustakas-Verho enlightens me. Her own road to Finland took her from Boston University to the University of California, Berkeley before she finally arrived at the University of Helsinki. “At Berkeley, there was this professor who was in the habit of leaving interesting evo-devo papers on my desk. It was among these that I then found a study by Jernvall on tooth development in mice which absolutely fascinated me! It really opened my eyes and made me realise that I had to work on teeth. So I wrote to Jernvall about looking to do my postdoctoral studies somewhere, and he said that I should come to Finland. And so that’s how I ended up investigating extinct cave bears with professor Jernvall’s evo-devo research group at the University of Helsinki Institute of Biotechnology,” Moustakas-Verho summarises her path to Finland. Moustakas-Verho says teeth are an excellent subject for researchers of evolutionary and developmental biology because once the teeth are formed, they change shape only by wear. 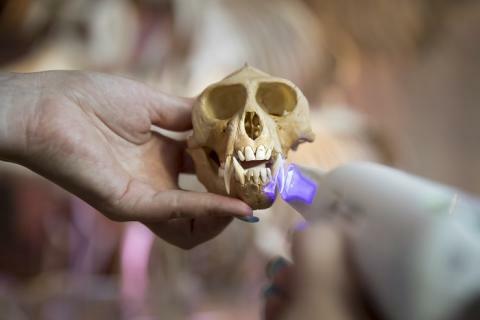 For the cave bear study, Moustakas-Verho says she and her research group at the Institute of Biotechnology used the Planmeca scanner to model teeth from e.g. brown bears, black bears, sun bears, polar bears and giant pandas, which they then compared to similar teeth models from the cave bear. A central role in this research was played by Professor Alexander von Nordmann’s 19th century collection of cave bear bones and skulls, which is stored at the Kumpula Manor. The research of Moustakas-Verho revealed that the molars of the cave bear were the most complex of all bears, which indicates that its diet was nearly entirely herbivorous. 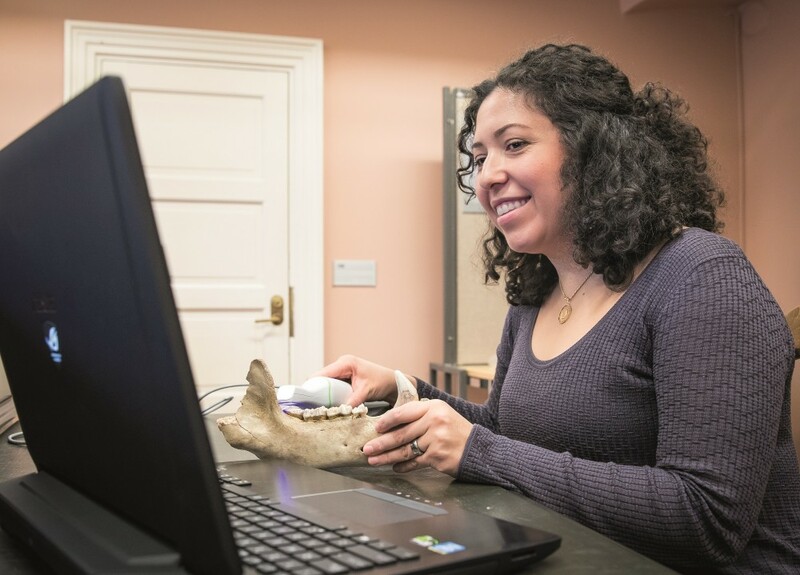 Researcher Jacqueline Moustakas-Verho scanning cave bear teeth with Planmeca PlanScan intraoral scanner. Moustakas-Verho takes us again to the bone collections of the manor. The old floorboards creak beneath our feet, but the cave bears are undisturbed by the noise. The bones remain motionless in their glass cabinets. To me, the enormous teeth of the ancient cave bear look as if they could easily have chewed more than just grass. Moustakas-Verho takes the jaw bone of a cave bear in her hand. “I was introduced to the Planmeca scanner through Jernvall and researcher Yoland Savriama. They and their team were doing research into ringed seals, and I even scanned a few seals for Jukka. After that I wanted to try the device on cave bears. I had previously tried another scanner, but it was too heavy to travel with. The Planmeca scanner, meanwhile, worked really well, and I eventually took it with me all the way to the National History Museum in Denmark to scan polar bear samples,” Moustakas-Verho relates as she starts up a computer with Planmeca PlanScan attached to it. On the walls, the pictures of researchers of decades past observe the proceedings, and as the light from the scanner sweeps over the surface of the teeth to produce a digital impression on the computer screen, I am for a moment touched by a sense of the past and the present coming together seamlessly. I doubt whether the collector Alexander von Nordmann could ever have imagined in the 1800s what prehistoric research would look like today.